The State of Israel is being sued by a Kenyan lawyer in the International Criminal Court of Justice (ICJ) for the “trial and crucifixion of Jesus Christ,” which the lawyer claims was “unlawful,” according to regional media reports. 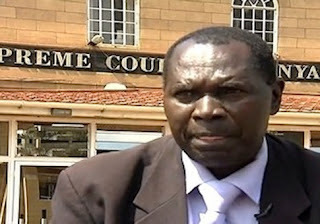 Kenyan lawyer Dola Indidis says that Israel and the Jewish people should be held legally liable for Jesus’s death, according to the Jerusalem Post. Indidis, who has taken his case the ICJ in The Hague, is also suing Tiberius, the emperor of Rome in 42 BCE, “Pontius Pilate, a selection of Jewish elders, King Herod, the Republic of Italy, and the State of Israel,” according to the Post. “Evidence today is on record in the Bible, and you cannot discredit the Bible,” Indidis was quoted as saying by the Kenyan Citizen News. Indidis further “insists that the government for whom they acted can and should still be held responsible,” the Post reported. Indidis further maintains that Jesus was not given a proper say during his trial and that his resulting punishment was unfairly carried out. When asked about the case, an ICJ official is reported to have said, “It is not even theoretically possible for us to consider this case,” according to the Post.